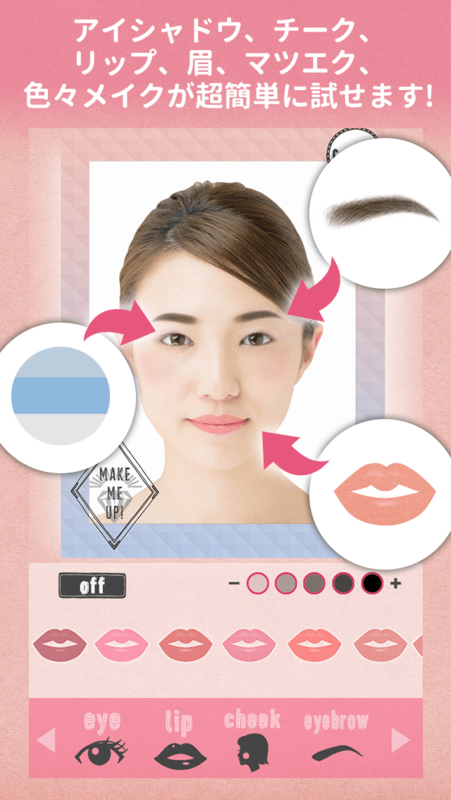 Discover new looks with MakeMeUp! Not sure which makeup style suits you? Too busy to try them? 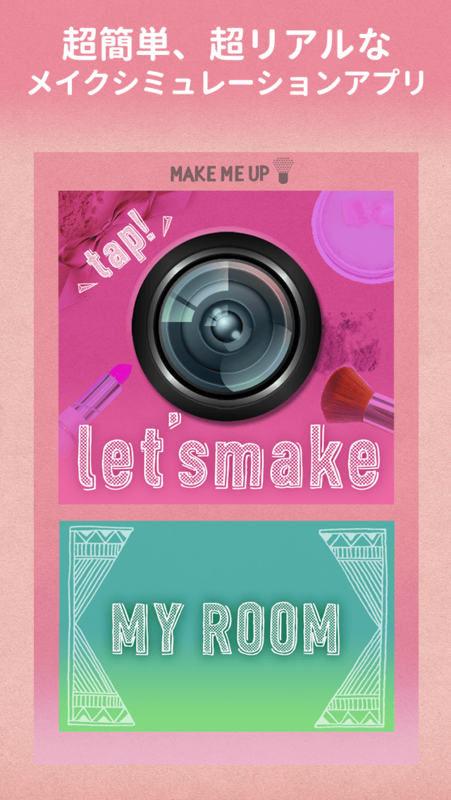 MakeMeUp is a super-easy way to try different types of makeup, without all the hassle! Just take a selfie with your smartphone, and you are ready to go! 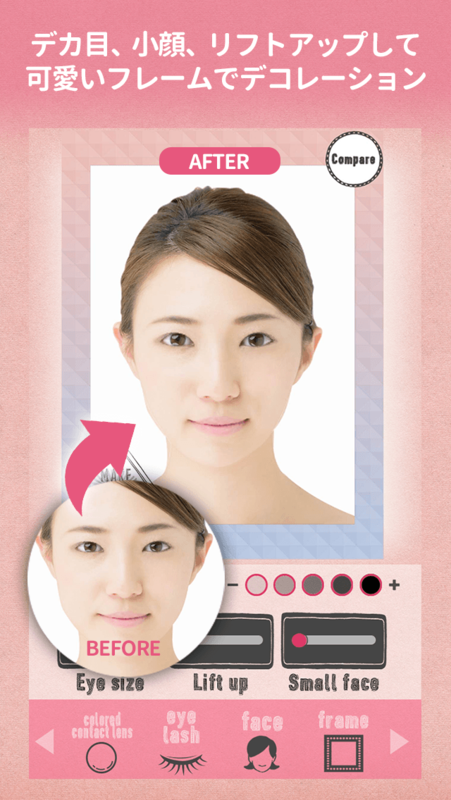 With a few taps of a finger, you can try a variety of eye shadow, blush, lipstick, eyebrows, and so on. Find colors and styles that match your face best. And what's more, you can make your photos even better. See how you would look with a facelift, larger eyes, or a smaller face! After finding makeup that works for you, share your new look with friends. MakeMeUp supports Facebook, Instagram, Twitter and other social networks. 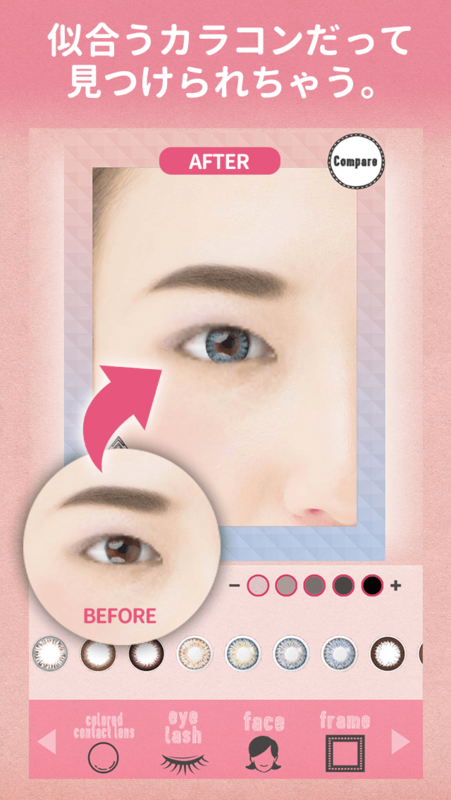 Unlike other makeup apps, MakeMeUp does not need manual marker adjustments. It's as easy as can be! Discover new looks by trying makeup that you might not get to try in shops.